In 2014, this wall failed due to excessive water runoff coming to the back of the retaining wall off the roof of the houses. 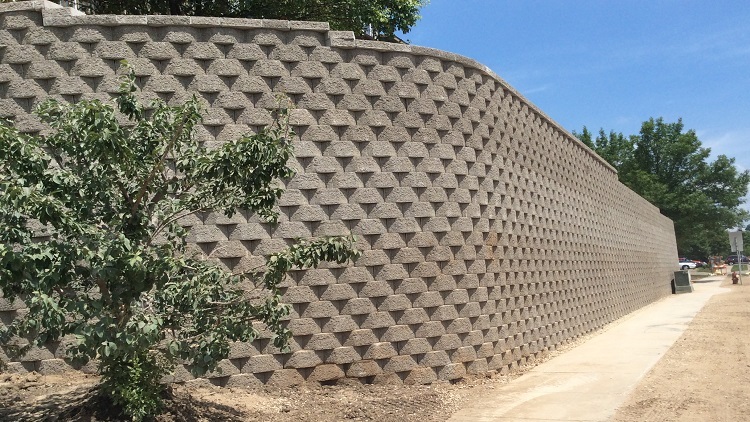 Structures was tasked to not only rebuild the wall, but design a sustainable storm water drainage solution for the site. Structures contracted Krueger Excavating to preform the site utility work and install Helical Anchors. The Anchors were used to minimize the excavation efforts to maintain the housing structures safely above.